The rabbis from Brooklyn arrived in North Idaho this week – their rental car filled with mezuzahs, Shabbat candles, books and other items proclaiming their Jewish faith. With their beards and yarmulkes, the pair can't help but stand out as they wander the streets of Coeur d'Alene, Sandpoint and Post Falls. But that's exactly the point as they try to find Jews in the region. "We hope to meet as many Jews as possible," said Rabbi Yitzchok Steiner. "When we meet them and they do a good deed, we hope to bring them back to their heritage." Steiner and Rabbi Levi Slonim are part of the Chabad-Lubavitch movement, one of the largest branches of Hasidic Judaism with more than 3,300 institutions in more than 70 countries worldwide. 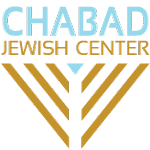 Although adherents are Orthodox Jews like Steiner and Slonim, Chabad is an organization that reaches out to all Jews with the hopes of deepening their understanding of their faith. The two roving rabbis are spending the week in North Idaho as part of a worldwide program sometimes referred to as the "Lubavitch Summer Peace Corps." Hosted by the Boise-based Chabad of Idaho, Steiner and Slonim are driving all over Coeur d'Alene, Post Falls, Sandpoint and Bonners Ferry to meet with Jews. Despite the fact that North Idaho was once a base for the racist, anti-Semitic Aryan Nations, the region is still home to several hundred Jewish families, according to the rabbis. But unlike Jews in Spokane, those in the Coeur d'Alene and Sandpoint areas don't have a temple, a Chabad house or the option of joining one of three Jewish congregations. In order to reach out to these unaffiliated Jews, the Chabad rabbis are visiting them in their homes, talking to them about Judaism and distributing books, candles, CDs and other items related to their faith. On Friday night, they will host a Shabbat dinner at a home in Coeur d'Alene. The rabbis, both 23, aren't looking for converts to Judaism. "We just want to connect with the local Jewish community and to encourage them to do a mitzvah or good deed, even though they don't have the Jewish infrastructure," Slonim explained. "We want to reach out to every single Jew, no matter what part of the globe." Slonim and Steiner are among 250 young rabbis and senior rabbinical students who are traveling all over the world to reach out to Jews. While some have ventured out to Cambodia, Sri Lanka, Ireland and other far-flung areas, others are concentrating their efforts on U.S. communities that don't have synagogues and lack organized social and religious activities for Jews. To find Jews, the roving rabbis contact people who know of Jews who live in an unexplored area. They also look for Jewish names in the local telephone books and walk around town. During their visits, the rabbis help people explore their Jewish heritage by studying Torah, baking challah bread, eating kosher food and talking about Judaism. People who have encountered the rabbis – on the streets, in the parks and even the aisles of Wal-Mart in Post Falls – have been surprised to see two Hasidic Jews wandering around town. So they pepper them with questions about their background and why they're here. 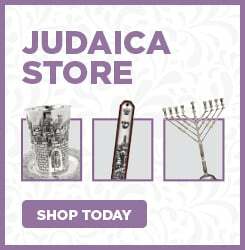 Those who are Jewish usually identify themselves, and the rabbis immediately begin a discourse about life and Judaism. "Many people approach us seeking advice on how to maintain or bolster their Jewish identity," Slonim said. Abby Chavez, who spent two hours talking with Steiner and Slonim, said she was thrilled to meet the rabbis. The pair found her name and phone number and called her last week, so she invited them to her home in Sandpoint. "It was like family, even though they are quite a bit more Orthodox in their religious practices," said Chavez, describing the immediate kinship she felt toward the rabbis. "They exuded a sense of love, kindness and generosity. They pass that feeling along as soon as you meet them." Marshall Mend, who is Jewish and a Coeur d'Alene resident since 1980, said the region has a growing number of Jews, especially since the community got rid of the Aryan Nations. "This community has always been receptive to minorities," said Mend, a longtime human rights activist who has met with Chabad-Lubavitch rabbis in the past. "You'll find more racists on a street corner in Los Angeles than you would in the whole state of Idaho, yet we had the reputation that this was a racist community." Fortunately, the stigma is fading, he said. Chavez, who moved to North Idaho from Los Angeles in 1996, hopes that more Jewish families will move to the area. The few who live in Sandpoint gather every year for a seder meal, she said, but unless they make the long drive to Spokane, Jews in Sandpoint don't have the same opportunities to meet and discuss their faith. "Being with other Jews gives me a strong feeling of culture and community," said Chavez, a member of Sandpoint's Human Rights Task Force. "I look forward to a time when we have a (Jewish) facility here."